Natren HEALTHY TRINITY dairy free gelatin capsules are the ultimate solution for total health. HEALTHY TRINITY transforming health everyday. Natren HEALTHY TRINITY dairy free gelatin capsules do it all! HEALTHY TRINITY is the preferred choice for building great heath. One problem can undermine your complete health, whether it is irregularity or minor heartburn. 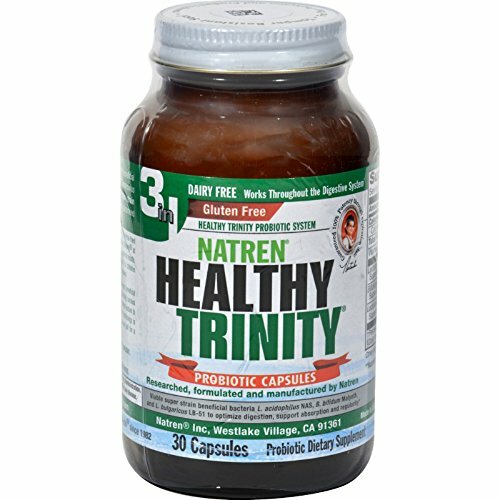 HEALTHY TRINITY may be the answer for you! Free Of Dairy. Disclaimer These statements have not been evaluated by the FDA. These products are not intended to diagnose, treat, cure, or prevent any disease. If you have any questions about this product by Natren, contact us by completing and submitting the form below. If you are looking for a specif part number, please include it with your message.